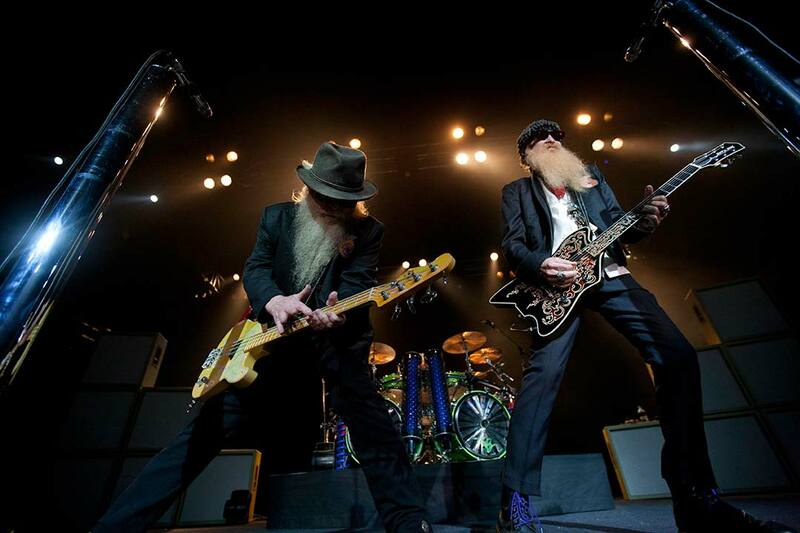 Byron Bay Bluesfest - Latest news: 5 Day Ticket Frenzy! Bluesfest nominated for 2 Helpmann Awards! Did you have a wonderful weekend? We really hope so. Time is flying and here we are once again, with the latest and up to date news from your Bluesfest HQ. Have you taken part in our competition of the year? Winners are now announced and you also find the answers to all the questions further down! 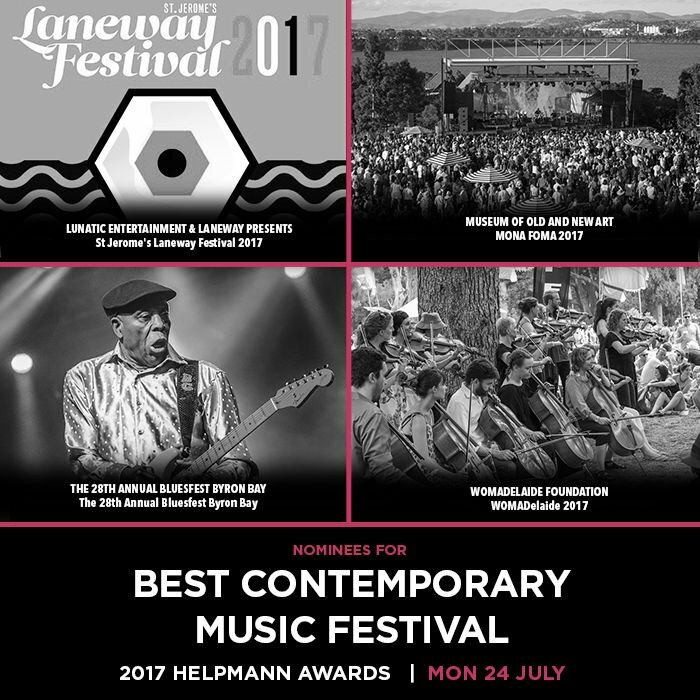 Bluesfest is nominated for 2 Helpmann Awards this year. 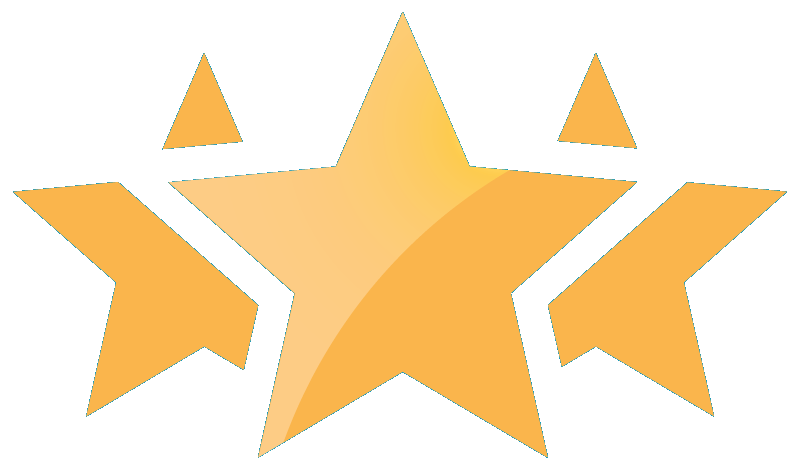 Not just a nomination for Bluesfest….find out for who else by scrolling down. Newsflash: The 5 day Advantage 2018 tickets are selling out. Jump right past this text if you have your tickets locked away! The 5 day Advantage tickets have been selling at lightning speed and they will be sold out by this Thursday 29th of June at 23.59pm (just on Midnight) if the final allocation does not sell out sooner, so to buy tickets at this fantastic price, get in quick folks! Please remember that ALL tickets will be going off sale soon and when tickets go back on sale (with our first artist announcement) they will be at a MUCH higher price. Buy now and enjoy the excitement of each announcement, knowing you bought tickets at the best price possible! It also gives you plenty of time to book accommodation and organise travel. You have nothing to lose. Please know that the full price saving is an estimation only. Tickets may become more expensive, depending on all the amazing headliners confirming! * Buddy packs include Festival & Camping for 2 at a further $60 discount. Please note the very popular Tent Motels are also going up in price! Bluesfest and Bluesfest Touring receive Helpmann Nominations! We are happy to report that we have received TWO Helpmann nominations this year! The first is for Bluesfest in the category of Best Contemporary Music Festival with Laneway Festival, MONA FOMA and WOMADedlaide, which are all extraordinary festivals that we are honoured to be associated with. 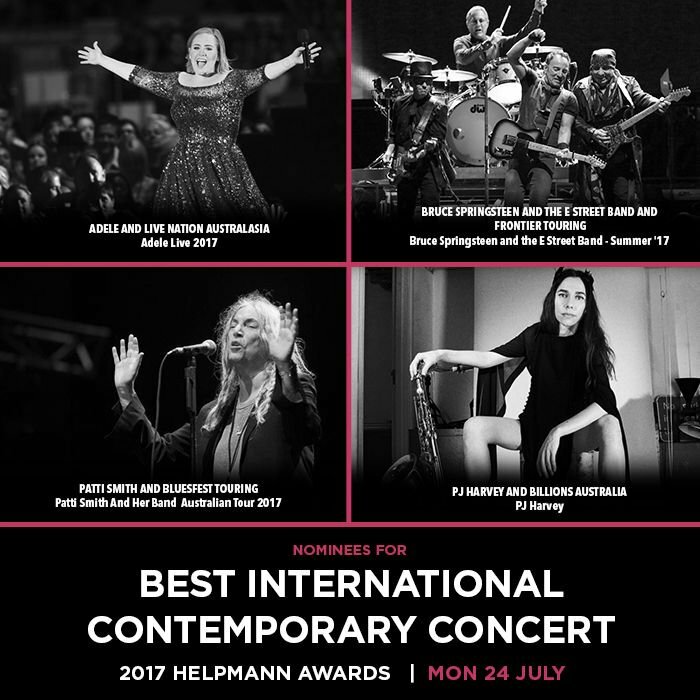 Bluesfest Touring is nominated for Best International Contemporary Concert for presenting Patti Smith and Her Band’s final Australian tour. We are proud to be recognised alongside the likes of Adele, Bruce Springsteen and the E Street Band, and PJ Harvey. The awards will be held in Sydney on Monday July 24. Fingers crossed! We were so impressed with the number of entries we received for this years quiz! 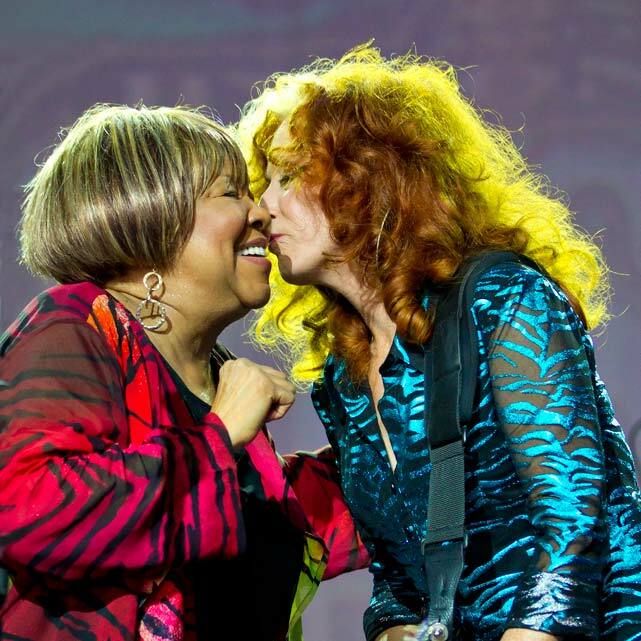 The passion of so many Bluesfest fans is something we never take for granted, so here is a big thank you. Backstage Tour of Bluesfest "Behind the Scenes" for TWO. Which legend made their Bluesfest debut and sold out 6 theatre performances with Bluesfest Touring in 2017? Which Australian favourite supported Patti Smith on her final ever Australian performance? What year did this band last play at Bluesfest? Who joined Kasey Chambers in a duet at Bluesfest 2017? What was the relation of Santana's drummer at the 2017 event to Carlos Santana? What item did we say goodbye to at the 2017 event? What song has the most plays on Spotify? How many times has Santana performed at Bluesfest? What was the last year Bluesfest was held at Red Devil Park? Who are these 2 famous female artists? In 2007 Bluesfest presented a festival in Victoria, where was it held, what was its name? 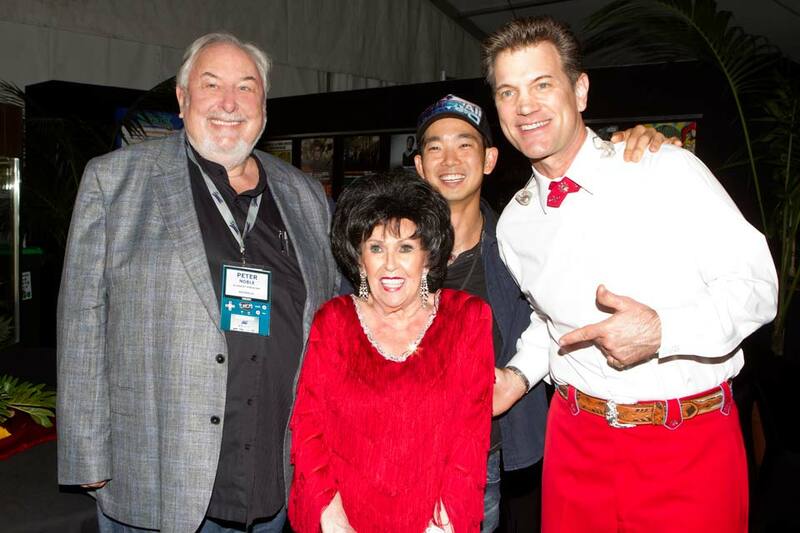 Which Hollywood celebrities were spotted at Bluesfest 2017? What song is played in the background of our 2017 final highlights video? Name three charities that Bluesfest supported in 2017. Answer: 11 to choose from - All for Villages Thailand, BeardsOn for Conservation, Byron Youth Service, Cancer Council NSW, Cystic Fibrosis, Playing for Change, REPPIN Mental Health, The Orangutan Project, The Thin Green Line Foundation, The Uncle Project / Future Dreamers, and Rise above the Flood Appeal. Also accept Westpac Rescue Helicopter – they weren’t able to make it this year but their logo is still on the website. Which of the following accommodations can you purchase for Bluesfest 2018? Name at least two people in this picture. Bonus points if you can name all four! 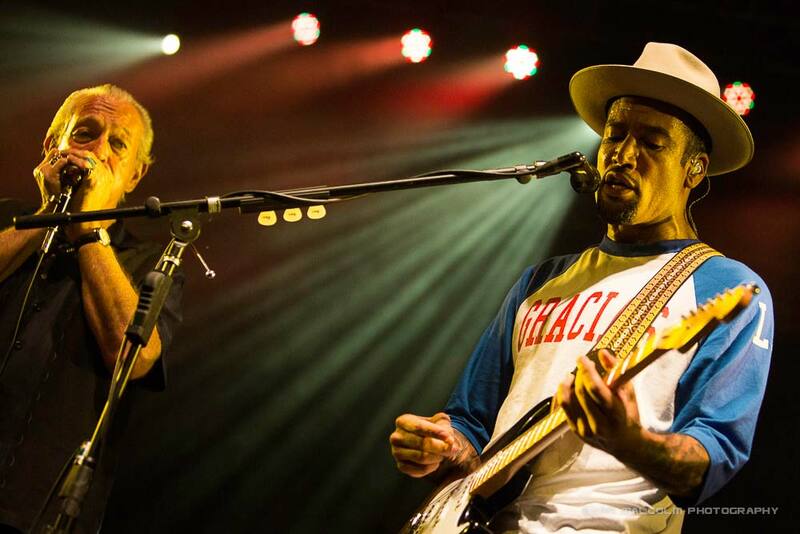 Who is the person playing harmonica with Ben Harper? What a nice thing to say about Bluesfest Ms Paris Jackson - thank you so much! PARIS Jackson has a very personal reason for wanting to visit Australia. The 19-year-old daughter of late King of Pop Michael Jackson is forging her own path in the entertainment business but her father’s legacy is never far away. “My parents got married there (in Australia) so it’s for sure on my bucket list to go,” Jackson tells the July issue of Vogue Australia. Jackson married ex-partner Debbie Rowe in Sydney in 1996.